Access Modifiers are used to define the scope of classes, variables, methods or constructers. 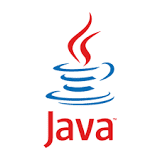 Access Modifiers in Java are used to set the access- level of data. 1. Default: Java adds a default modifier in case no access modifier is declared by the programmer. 2. Public : Can be accessed globally across packages. 3. Private: Can be accessed within same class only. 4. Protected: Can be accessed via Inheritance only i.e. extending the class. private keyword is mostly used for variables, constructors and methods not classes as a private class makes no sense. The protected access modifier can be applied on the data members, methods and constructors. It can’t be applied on the classes and interfaces.